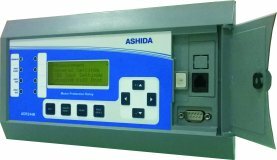 ASHIDA has designed & manufacturer economical & reliable Multifunction motor protection relay. The simple and compact construction of ADITYA series ADR244B relay provides integrated Protection, Control and Monitoring functions for Electric Motors. The ADR244B relay provides the options for three versions: basic, extended and modular versions. ADR244B numerical multifunction relay designed for electric motor protection applications. Relay designed with fast and selective tripping ensures the stability and availability of electrical power system. ADR244B relay apply for protection of motor feeder to achieve sensitivity and selectivity on phase & ground faults as well as on abnormal conditions. Induction motor can be start frequently/periodically based on their rotor bar thermal capacity design. ADR244B provides the number of start protection for motor against too many/frequent starts (cold or hot starts per hour) per hour. ADR244B allows the user to program a number of cold/hot starts per hour as per the information available from the motor datasheet. The ADR244B motor protection detects motor prolong start conditions effectively and provides protection to motor. The ADR244A is another type of protection relay. This type of relays are designed using the latest numerical technology and having programmable digital input and outputs to minimized external contact multiplication electromechanical relays. All relays are tested for EMI / EMC noise as per international IEC specifications. ASHIDA is setting the benchmark for innovative and environmentally conscious technologies. 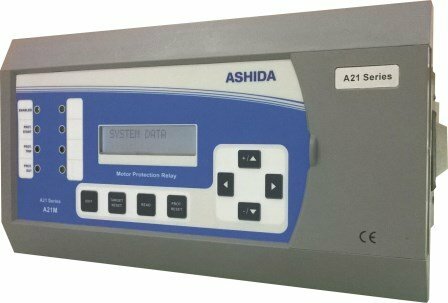 ASHIDA is multi-specialist in power protection covering everything from Design, Manufacturing, and Maintenance with in-house dedicated R&D facility and software development team. 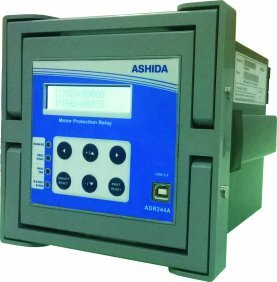 ASHIDA has more than 47 years of experience in power protection solutions.